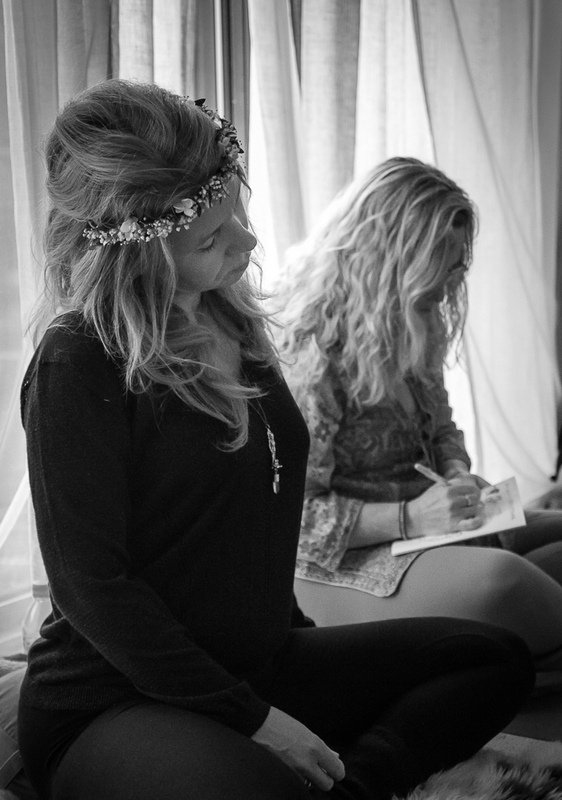 With her unique Healing Tents as an exquisite backdrop, Sophie will offer you deep sanctuary in the healing energies, sacred wisdom and ancient initiations of the goddess. Sophie's retreats are intimate events and places are limited. "It goes beyond any imagination what huge deep work you have done: this unique, sacred and very safe space you have created. Starting many weeks, months, even years before the retreat, and will continue to hold us long after." What is it like on Sophie's Retreats? Watch this short video to find out from the lovely May. 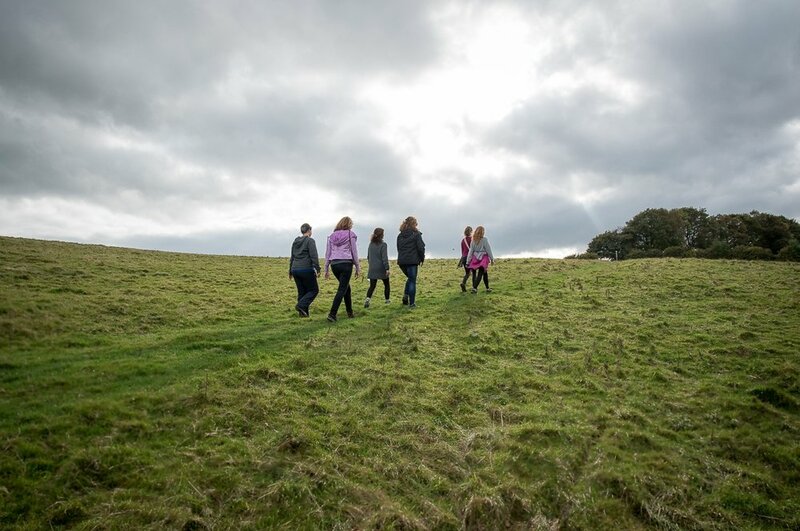 Each day, you will take part in a morning and afternoon session led by Sophie, held in the luxurious yoga studio, with stunning views over the Welsh hills. You will eat your nourishing home-cooked meals with the group, in the cosy farmhouse kitchen. 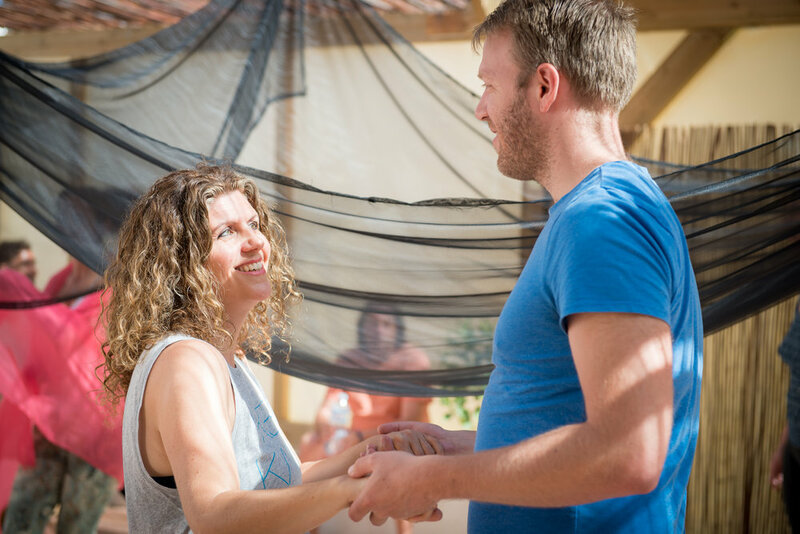 Watch this short video of the Retreat Experience with Sophie! The Retreat is for both men and women. The deeply intuitive nature of Sophie's work means that each day is different. Within a clearly-defined daily routine, you will receive a varied programme of spiritual and healing content. 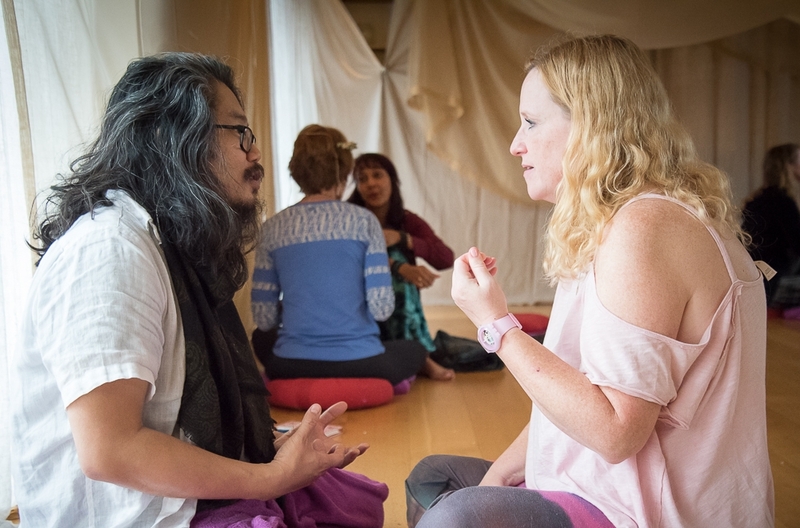 The sessions comprise techniques such as guided meditations, supported & therapeutic sharing, divine energy attunement from Sophie's guides and more. 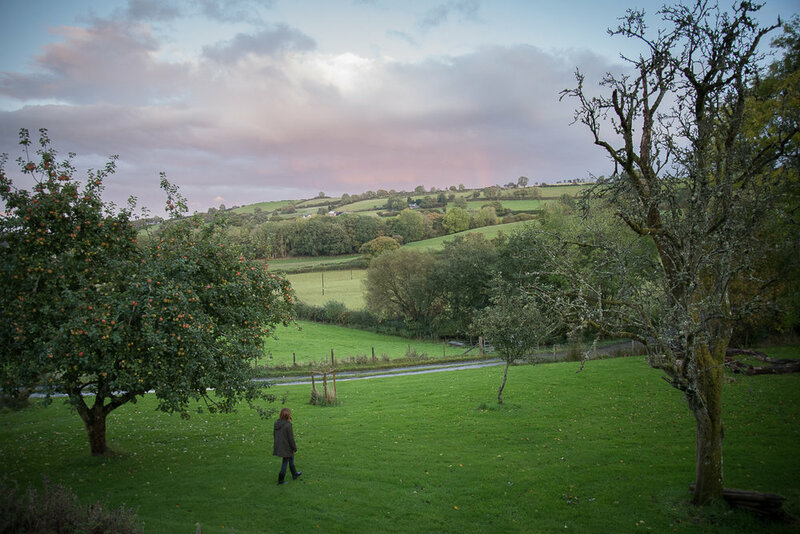 At Garth Barns, we are blessed to receive the magical gift of traditional Welsh story-telling through Christine, who will come one night to transport us into the myths and folklore of Wales. Christine always perfectly blends her stories with the theme of our retreat work. All rooms are very comfortably furnished and ensuite. Garth Barns has recently undergone expansion so we are pleased to announce more single rooms are available this year. Please enquire early if you want to request a single. The Retreat Venue is in two beautiful barn conversions, adjacent to the traditional farmhouse. It is set on 200 acres of farmland with extensive views and plenty of walks in the hills and valleys right from the doorstep. The heating is from renewable biomass and drinking water is from the farm's own pure spring water source. The barns surround a lovely courtyard area with a stream. In the fields below the barns there is a swimming and boating pond, plus a camp fire area with log seating. This is an all-inclusive retreat in a carefully-restored Welsh farmhouse and barns, surrounded by the unspoiled natural beauty of the Welsh hills. Garth Barns offers very comfortable accommodation finished to a high standard. Our hosts Jane & Rowan and their team prepare delicious, locally-sourced meals and snacks in the farmhouse kitchen. All the drinking water at Garth Barns comes from the farm's own pure, natural Spring. 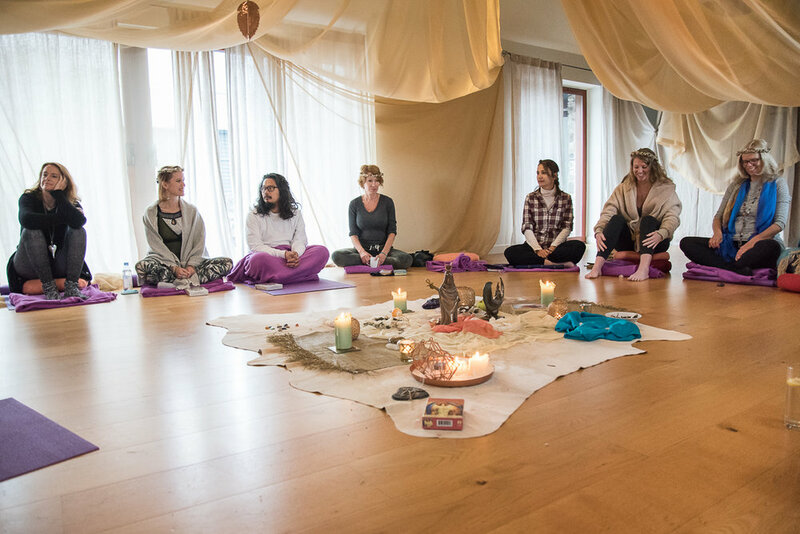 The Healing Tents Retreat is held in conjunction with Huzur Vadisi Yoga Retreats, one of the best known companies for yoga and holistic holidays. They are often voted in the top 10 worldwide. You will be picked up by taxi at Caersws and transferred to the venue. You can take the train to Caersws station and be picked up on arrival. www.arrivatrainswales.co.uk has information for rail services. If you are driving, we can give you directions. Photos copyright Marijke Thoen 2017.